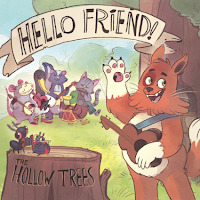 JP's Music Blog: CD Review: The Hollow Trees Welcome You With "Hello Friend" & Doctor Noize "Crashes The Symphony"
CD Review: The Hollow Trees Welcome You With "Hello Friend" & Doctor Noize "Crashes The Symphony"
From L.A. comes the latest release from the classic country/bluegrass band The Hollow Trees. Their new album titled "Hello Friend" will be released on July 1st through their own independent label, Hollow Trees Records. The new 14-song set begins with the fun, light-hearted polka of "What Do You Want On Your Taco" and the New Orleans jazz flavor of "Merry Go Round." The country strumming and sing-along lyrics of "I Can't Dance (I Got Ants In My Pants)" is very addictive and the waltz of "My Metaphor" will have you tapping your toes to the rhythm. The album finishes up with the classic bluegrass romp of "Poor Papa" and the sweet, gentle sounds of "The Harmony Hills." To find out more about The Hollow Trees and their latest release "Hello Friend," please visit thehollowtrees.com. Arriving July 15th is the two act musical "Phineas McBoof Crashes The Symphony" about a rock 'n' roll monkey who has disappeared. It is the third release in the "Phineas McBoof" series as fans have waited four years since the last Doctor Noize release. With help from the City of Prague Philharmonic Orchestra (conducted by Kyle Pickett), Grammy winning opera stars Isabel Leonard and Nathan Gunn, Metropolitan Opera veteran John McVeigh and jazz saxophonist Anton Schwartz; Doctor Noize creates an appreciation for orchestral music for kids to enjoy. The 26-track listing of "Act One" features some exceptional music and operatic singing that both kids and adults will appreciate on many different levels. The 28-track listing of "Act Two" continues the story and will keep you glued to your speakers as you learn about classical music, without even knowing. 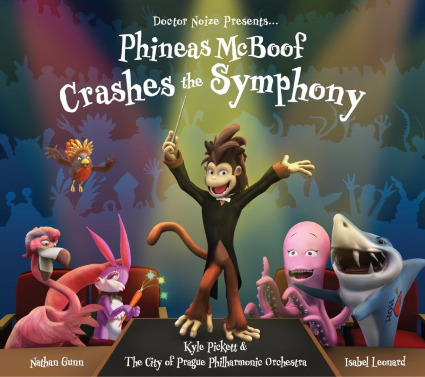 Do yourself and your kids a favor and grab a copy of "Phineas McBoof Crashes The Symphony" and enjoy this wildly exciting musical adventure. To find out more about Doctor Noize and his latest release, please visit doctornoize.com.